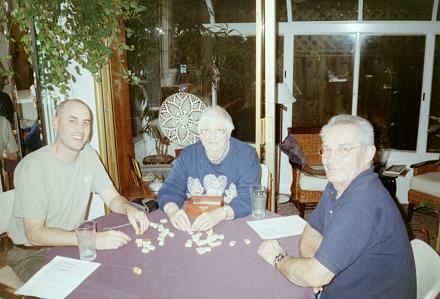 (From left to right): BJ, Char and Denny playing Mah Jong in January 2004. BJ was working at Stanford at the time, and had recently published his book Persuasive Technology about “Using Computers to Change What We Think and Do”. At the time Yack Pack was an installable application, but it has since become an award-winning Web 2.0 application: it is entirely web-based, so now you can access it and use it no matter where you are in the world, no matter what system you are using (so long as it has Web access, speakers and a microphone). Yack Pack is simply a web-based voice messaging service for groups — think email, but with voice — and it’s quite simply brilliant. What’s really nice about it is that it’s really quick to use, much quicker than typing an email, and no risk of RSI! You select the person (or persons) that you want to send a message to, click, talk, send. That’s it! And because it’s voice-based you can hear the intonation of the message being spoken, something that you can’t with text-based email. How many short and to the point emails have you received that you misinterpretted as snippy and rude? Well you just don’t get that with Yack Pack, because you can hear the emotion. It’s great for messages that are quiet sensitive too, eg “Hey! I’m really sorry to hear that your Mum’s in hospital. Thinking about you…” Messages that don’t come hit the mark when they are just typed words. I’ve just signed up … I just need some friends now to Yack with. My user ID is the same as my email address. 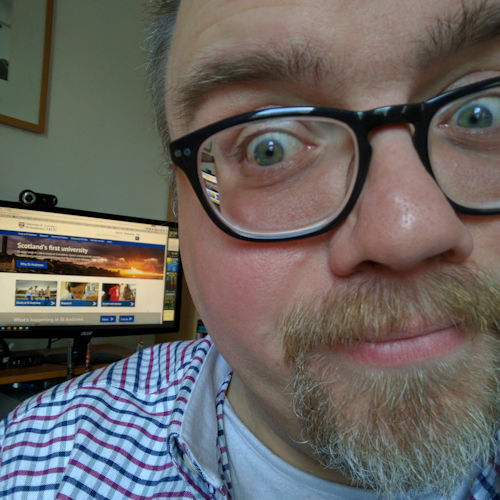 BJ Fogg’s blog — try saying that quickly! Posted on Friday 20 January 2006 Saturday 28 July 2018 Categories ComputerTags Computer, PC, review, softwareLeave a comment on Get Yacking!